No data on wealth has been available in Slovakia prior to Household Finance and Consumption Survey. Therefore, only studies on labor market participation and wage gender gaps are available to date. These studies indicate that Slovak women earn on average 25% less than men. Slovakia is the poorest but most equal country in terms of wealth in the Euro Area. Its average and median net wealth are the lowest but so are its inequality indices. 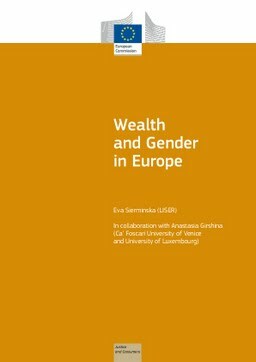 In terms of gender differences, there are only small differences in wealth levels by gender: low levels of inequality in a society overall are reflected also in the gender dimension. This is true for married couples as well as never married and widowed individuals but not for divorcees: there is a substantial gender gap between divorced men and women to the disadvantage of women. Portfolio structure as well as participation rates in different asset classes are quite similar for both single and married women and men. Slovakia is the country with the highest equality in terms of value of financial and non-financial assets between men and women, conditionally on holding them. In terms of debt levels, women are generally less indebted than men.